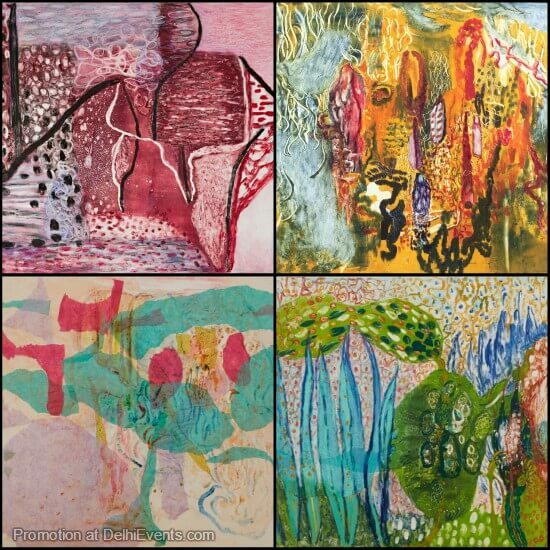 Event Description : EXHIBITION "The Open Window" A Solo Show of Paintings by Tara Sabharwal, an International Indian artist who hails from Delhi and is based in USA since last 30 years, and has has had 40 solo shows in USA, UK, France, Germany and India. Tara Sabharwal's latest non-figurative work, marks a return to the open awareness coupled with an ephemeral uncertainty, that she sometimes felt as a child. At times this shakiness would fester inside and she felt as though she were no more than the dream of an unseen, unknown being. In these works, Tara sets her brush free, and through a process of spontaneous mark making, observes her thoughts until her mind begins to shut down. As she paints, a moving world of colors and shapes emerge and dissolve at an open window, transcribing the unseen, unknown within.